Happy 10th Birthday to my First-Born Dandre Lucas! HAPPY 10th BIRTHDAY to my handsome first-born DANDRE LUCAS! You have changed my life in so many ways, all for the better and I couldn't thank God enough for gifting YOU to me. I am so proud of you my son for everything you are and everything you do. You are perfect just as God has made you to be and I am the happiest when you were born 10 years ago at 9.2lbs. I had risked my life when you were born and I will do so for the rest of my life just for you. We may not be the most perfect family but I know and I can see in your innocent eyes how happy and complete you are with what we have now. 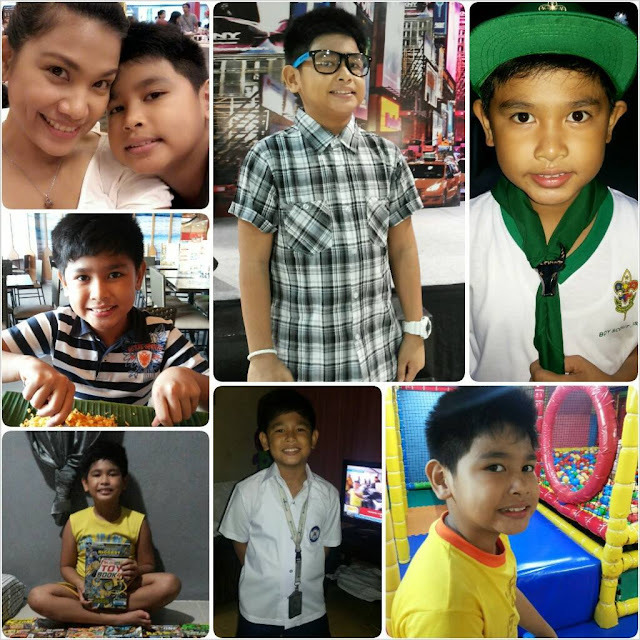 Thank you for the contentment, happiness, fulfillment, inspiration and strength that I get from you my dear son. Few years from now, I know I have to ready my heart, when you will ask for more independence and will be exploring more. But for now, you are still my BABY. While I still can, and while you still want and ask for it, I will hold your hand, smother you with hugs and kisses in public, carry you on my lap, put powder on your back, tickle you, play ball and other games with you. Dream BIG Dandre! May you achieve all the good things you aspire for yourself. Mommy and Daddy will always support you. Continue to be as kind-hearted, compassionate, giving and loving as you are. Be the HERO you've always wanted to be for your brother. We LOVE YOU forever and ever and ever!! !